I was shocked to find this review in my e-mail inbox. How cool to get a complete, complimentary, and unsolicited comment. 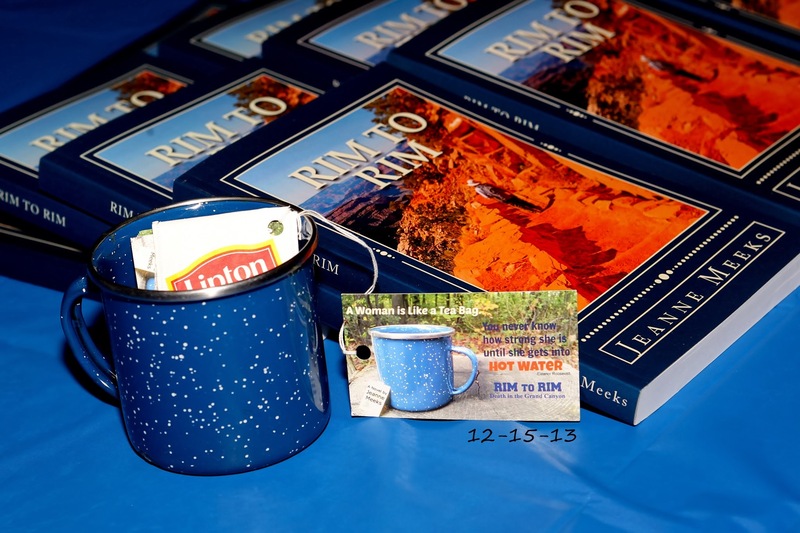 Rim to Rim – Death in the Grand Canyon by Jeanne Meeks. “This is an action-packed mystery with lots of information about the Grand Canyon and backpacking. I found it absolutely spell-binding both in plot and in scenery. Jeanne Meeks makes her readers feel as if they are hiking up and down the trail right along with Amy and Sarah. Both women are fully defined characters and I really liked them. I especially enjoyed seeing Amy gain confidence as she battles hurdle after hurdle. The two women have to conquer not only all the rigors of the trail and the mishaps along the way, but they are also being pursued by a murderous drug dealer. There are abundant suspense of all kinds in this novel, from snake bites and twisted knees to rock slides and howling. I really enjoyed watching Amy and Sarah handle all the curves that are thrown at them, and seeing their friendship develop into a real bond, keeping them safe in the most horriifying circumstances. Amy has been totally dominated by her husband and hasn’t had any friends of her own, but she demonstrates tremendous courage and resilience in the face of terrifying dangers. She also makes friends with Ranger Glen Hawk, although she is afraid to promise anything, knowing that she still has her divorce to face.